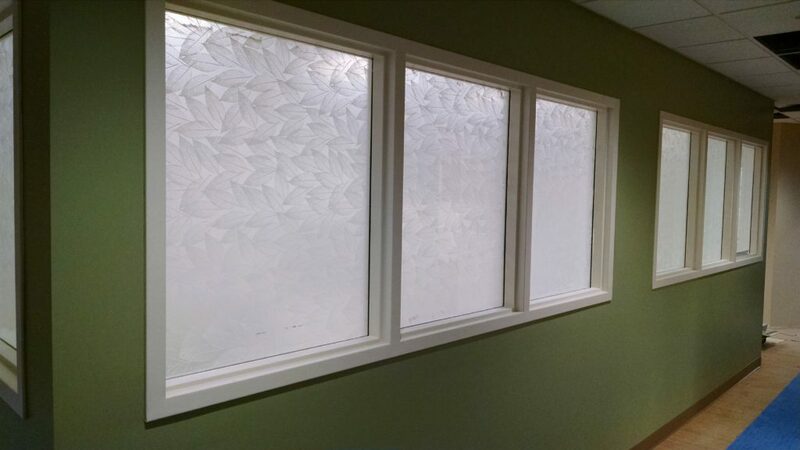 Traverse City Window Tinting – Patterned Window Film – Traverse City, MI – Our sales staff worked with Architectural Glass & Metals of Byron Center, MI to match previously installed decorative glass within the building with a retrofit decorative window film. 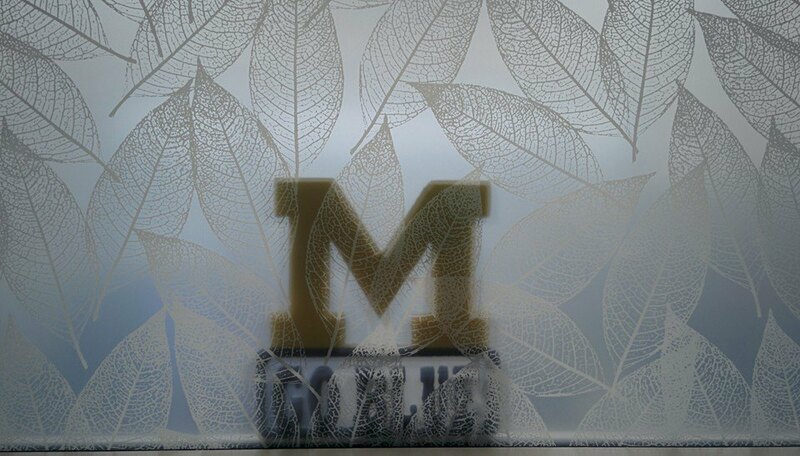 Solyx Dusted Leaf patterned window film ended up being a very close match to glass previously provided by AGM. 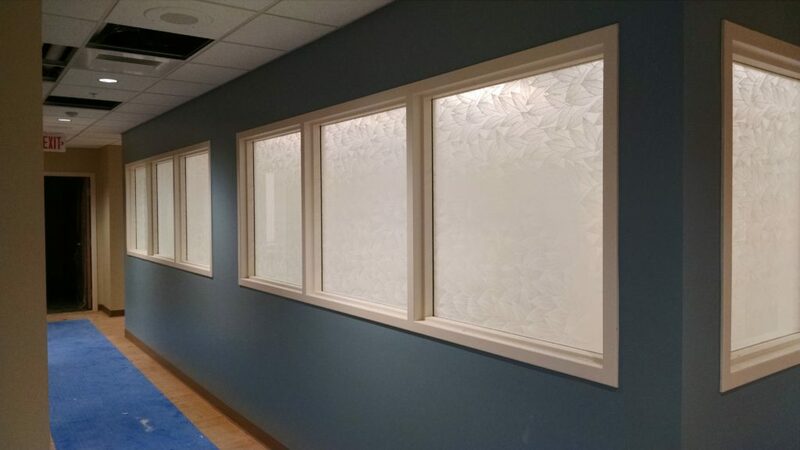 The decorative window film was installed to meet privacy objectives throughout the facility in order to meet HIPAA requirements. The aesthetic enhancement was far superior to a standard white frost window film. Check out the results for yourself! 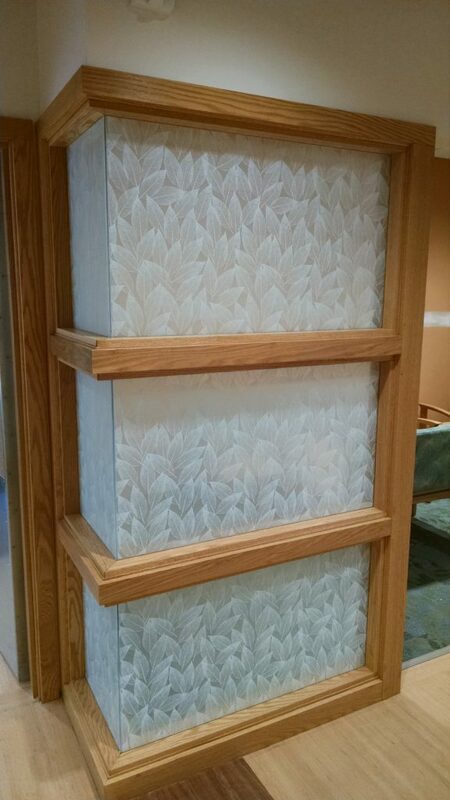 Thank you to Architectural Glass and Metals as well as well as the Cowell Family Cancer Center. CFCC provides the Traverse City community with the very best oncological medical care available. We thank you for your business and commend you on your exceptional medical services. 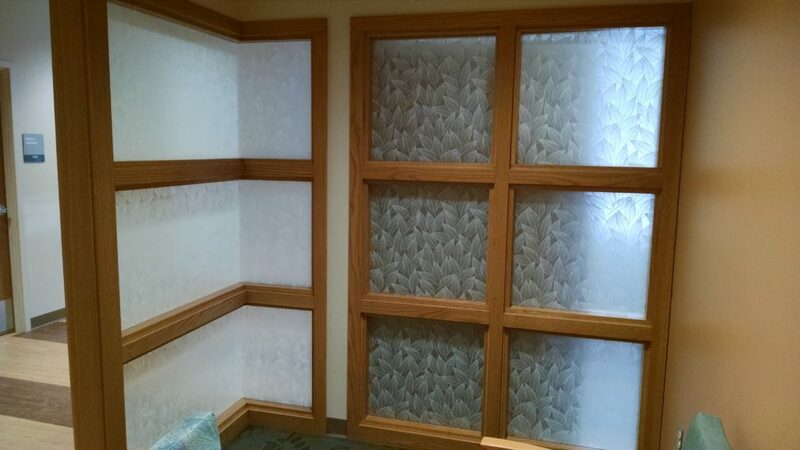 Solyx Dusted Leaf Patterned Window Film by All Season Window Tinting, Inc. 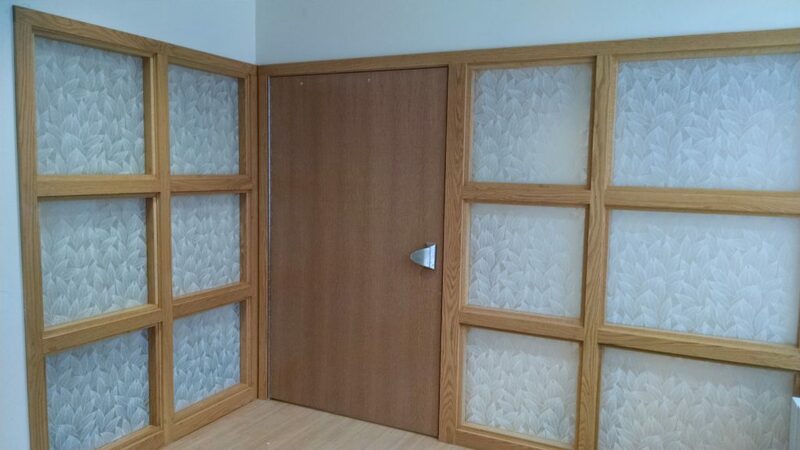 If you are interested in learning more about how window film can add privacy and decor to your home or business, click HERE or give us a call today. You can contact the team at All Season Window Tinting by calling 231.943.9773 for an absolutely free, no obligation consultation and quotation on implementing home or business window film. Our service areas include Traverse City, Grand Rapids, Cadillac, Petoskey, Roscommon, Ludington Michigan and their surrounding areas. I have an office area that is windows on two side. I was wondering (1) what options are there for frosting the windows similar to above and (2) what is the approximate cost to do it per square foot.